If you know me, you know I’m a client-centered hypnotherapist. I have two Pittsburgh locations where I meet with clients one-on-one. One is in Aspinwall (North of the city) and the other is in Brookline to the south. Being client-centered means I tailor everything I do with the client to the needs of the client. That means each hypnosis session is unique. I also combine hypnosis, mindfulness training and coaching, so that my clients are getting the whole package. I don’t do group hypnotherapy because that method focuses on the issue that they share rather than the individual confronting the issue. Group work smoking cessation for example focuses on smoking and not really the individual reasons why the attendees smoke. About 20% to 30% of attendees might leave the room having quit. Either their habit was completely conventional and just a habit or they were almost ready to quit on their own anyway. You can see why group work doesn’t appeal to me. While I have to earn a living, doing so at the expense of not really helping people just isn’t the way I work. Starting on the 15th of this August, however, I am going to begin conducting group introductory sessions. I’m going to arrange them topically. This first one is about stress and anxiety. We’ll talk about the role stress and anxiety play in the mind-body connection and then have a group hypnosis session for attendees to experience hypnosis. This first event will cost just $5. In September, we’ll focus on Smoking Cessation. Hypnosis is one of the most successful ways of kicking the habit and my own success rate is above 95%. In October, as the days are getting shorter and the nights longer, we’ll focus on seasonal depression. Other sessions on Caregiver Stress, Depression, Sleeplessness or Insomnia, are planned. I hope you will join us. To be notified of future group events, you can like and follow my page on Facebook. Or, you can join our meet-up group , Pittsburgh Hypnosis Group on meetup.com. Should You Just Grit Your Teeth and Bear It? Hypnosis is not the first thing most people think about when they realize they are clenching or grinding their teeth (bruxism), but it should be. Clenching and grinding teeth happens more often than people think. Most of us have gritted our teeth from time to time and an estimated 10 to 15% of us do so habitually. Some do it only at night while asleep, others unconsciously do it during the day as well. Our language has developed phrases for this phenomenon. “Grit your teeth and bear it.” Or “Bite the Bullet.” Think about scenes from wild west movies where a cowboy takes a shot of whisky and bites down on a stick while having a bullet removed in during the civil war, in army hospitals while an arm or leg was being amputated…yeesh. 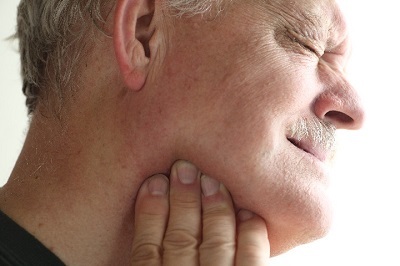 While a misaligned bite might be a cause of bruxism, often it is an unconscious, habitual response to stress and anxiety. Clenching and grinding the teeth are natural reactions to stress. It happens more often than we think, but sadly, it’s also more damaging than we think. Habitual bruxism may result in tooth fractures and the wearing down of enamel which in turn can lead to sensitivity and the need for dental work including fillings, caps and even root-canal procedures. Tiny tissues that connect teeth to gums, called periodontal ligaments can be weakened or damaged. Other problems that come from teeth clenching and grinding are headaches, shoulder pain, back pain, difficulty chewing, increased biting of cheeks and tongue, jaw disorders and clicking or pain in the main joint of the jaw known as TMJ. To check for bruxism, your dentist may ask you to open and close your jaw while listening and feeling for taping or clicking of the TMJ. She might feel the jaw joint while you open and close your mouth or ask you if you are experiencing soreness, pain or headaches. Once diagnosed, most often dentists will recommend wearing a bite splint also known as a mouth guard or, in more severe cases, surgery might be indicated. Take a moment to experience the mind-body connection. Are your lips closed or open? If they are closed, are your teeth touching? If they are, you may have a tendency to clench or grind your teeth without being aware of it. (Most people aren’t aware of it.) So now, try this. With your lips closed and your teeth apart, focus your attention on your lower jaw and relax it. Feel that little shift and perhaps a little relief coming with it? That’s the mind-body connection. The mind relaxes the jaw and the relaxing of the jaw, relieves the mind. The biggest downside to mouth guards is that they do not address the reason for grinding your teeth. The jaw muscles are powerful and prolonged bruxism strengthens those muscles in some ways and weakens them in others. It is likely that you may have even limited the range of motion for those muscles. For some, clenching the teeth has become a normal state. Directed massage can help loosen those muscles up and begin the healing process. Three or four sessions of massage should do the trick, but if the source of your bruxism is stress and anxiety, you need to address your reactions to stressors in your life to keep bruxism at bay. Hypnosis and mindfulness training go hand in hand to address the stress, anxiety and the habit associated with clenching and grinding the teeth. In hypnosis, we work with our unconscious habits, the things we think, feel and/or do automatically. If your automatic response to stress is to clench or grind your teeth, hypnosis can address the stress itself and the automatic response to it. Mindfulness practice over time can help reduce lower stress and anxiety levels in general as well as raise awareness of when stress is affecting you so that you can address it in a timely manner. Since we don’t know what our future stressors might be, mindfulness practice insulates us and better prepares us for whatever might come along. If you are considering hypnosis for bruxism, expect three to five sessions to get you to the point where habitual bruxism is no longer an issue. A good hypnotist will probably include some training in self-hypnosis and mindfulness practice. I always do. These are tools you can take with you so that you are better handling stress and anxiety on your own. Hypnosis is effective in relieving pain. A recent article in the Journal of General Internal Medicine indicates even just one session of mindfulness training or hypnosis can be as effective as opioids in providing immediate pain relief. (Cahn 2017) We’ve actually known this for a long time. One of the original uses for hypnosis in medicine was for anesthesia—before there ever was any kind of anesthesia. It was supplanted by the discovery of ether and nitrous oxide (laughing gas) which of course could be bottled and sold under a patent. Even today, some people choose hypnosis over anesthesia, often to the annoyance of physicians. Of course, many doctors are aware of the effectiveness of hypnosis but hospitals aren’t accustomed to letting hypnotists occupy the same space as doctors and most doctors aren’t accustomed to working with hypnotists and they are accustomed to working with an anesthesiologist or prescribing pain medication. Anesthesia has its dangers and complications and even the best anesthesiologist can’t entirely prevent them but they do know what to do if they occur. Increased reliance on pain medications, even to the point of dependency, is a problem only made worse by the possibility of numerous side effects. The ability to avoid or reduce the need for analgesic medication is convenient for some, for others its imperative. Imagine having a bad reaction to anesthesia or even just Novocaine at the dentist. Imagine not finding relief from pain with traditional medications or constantly needing to increase the dosage to maintain effectiveness. improve the quality of life for those with chronic conditions like IBS, Crohn's Disease, Chronic Fatigue, Fibromyalgia and chronic pain. The results of hypnosis depend on a number of factors. Client Comfort: Some clients need time to establish hypnotic habit. Unlike chemical anesthesia, the client has a choice to follow or not. It may take some time and practice for a client to allow hypnosis to take full effect. I often have clients whose second visit to my office is far more productive than the first because they have become more comfortable with the process. Hypnotist Training: The training of the hypnotist, is critical. There is more to it than just having learned a few hypnotic pain control techniques. A hypnotist engaged in medical hypnosis and pain relief has to be involved with the physician to the extent that symptoms aren’t being masked in a way to prevent or obstruct effective diagnosis. Whenever I’m working with a client who is under the treatment of a physician or mental health professional, I obtain permission to contact them. The hypnotist works on the client’s experience of the condition, not usually the condition itself. In crude terms, we can help a client with cancer cope with chemo therapy but not eliminate the need for it. And in order to do that, the hypnotist must have a general understanding of the condition as well as the client’s experience of it. That understanding also facilitates communication between the physician and the hypnotist. The word psychosomatic has gotten a bad rap. It is not synonymous with hypochondria. It indicates a part of medicine of which we are only now beginning to take full advantage. Psycho, meaning mind, and somatic, meaning body, indicate that the condition or its resolution is in the mind-body connection. Well-trained hypnosis professionals are a firm bridge between the mind and the body. As medicine progresses, I predict we’ll see a growing relationship between the hypnotists and medical and mental health professionals. I hadn’t seen Mary in years. She was in town for a conference and our time together was very limited, yet, the whole time we sat in a restaurant catching up, my mind was distracted by wanting to have a cigarette. I was a slave to an addiction, pure and simple, and I determined it would have to stop. It became a quest. I chewed gum, wore patches, used progressive filters, tried acupuncture, wore copper bracelets, magnets, acupressure bands and even crystals. I’d go a few days, a week, even two weeks and then, something would happen and I’d find a cigarette between my fingers and a cloud of failure over my head. 1. Nicotine is processed in the brain and the brain builds a tolerance for it, meaning more and more is required to achieve the same affect. 2. Without access to the chemical, users suffer unpleasant symptoms of withdrawal. 3. Smoking has negative effects on a person’s ability to live his or her life. In other words, smoking must be considered and accommodated in any plans a smoker makes. At some point that accommodation becomes onerous and restricting. Hypnosis has proven to be a very effective tool in quitting. By some estimates, it more than triples a quitter’s chances of success, but it’s not a magic pill. In order to get the most out of his or her hypnosis dollars a potential client should understand certain things before signing on the dotted line. Smoking is more than a chemical addiction to nicotine. It has a three-aspect presence in a smoker’s life. There is, as everyone knows, the nicotine addiction—addressed by pills, gum and patches by the medical community. Gradual reduction in the amount of nicotine available makes the cravings easier to manage but also prolongs the process, thereby giving the quitter more chances to backslide. Nicotine withdrawal can result in irritability, headaches and fatigue. Without strategies to manage these symptoms, they often break a quitter’s resolve. While hypnosis can't speed up detox and it's aftermath, it can help quitters manage the symptoms. There is the behavioral aspect. In addition to the habit of smoking with coffee, while driving, after meals, what-have-you, there are also, the physical feeling of the cigarette between the fingers, the ritual of opening the pack, tapping a cigarette, of lighting up, and the inhaling and exhaling of the smoke. These behaviors have emotional and psychologically suggestive attachments, which cause smokers to reach for the pack as often, if not more than, the simple desire for nicotine. Sometimes a smoker will discover that there are two lit cigarettes in the ashtray. Well, since the smoker was already getting nicotine from the first one, we know that it wasn’t the need for nicotine that prompted the smoker to light up another, it was the unconscious desire for the associated feelings of the behavior. Artfully applied hypnosis can actually change the meaning of these suggestive behaviors. There is also a social aspect to smoking. While society increasingly shuns smoking and smokers, there is a comradery in smoking, especially when smokers are forced to indulge their habit in isolated locations. It’s a kind of community that smokers become tuned-in to. They take breaks together, gather around designated smoking areas, commiserate over being ostracized, and even talk about how much they want to or how hard it is to quit. In hypnosis, smokers learn how to say, "No thank you, I don't smoke" while still enjoying the company of their friends. Addressing only one, or even just two, of these three aspects is insufficient. Any smoker who has endured a long airline flight using nicotine patches can attest. It’s not enough to just get the nicotine. To understand the quitter’s challenge, imagine that smoking is like a pizza cut into three unequal pieces—chemical, behavioral, and social. As a hypnotist, it helps me to know which pieces are the biggest and what toppings are on them, that is, what elements are involved in each one. Smoking is a complex habit that needs a multi-faceted response. Until we spend a little time together, I can’t possibly know how a client’s pizza is divided or what toppings are under the cheese. This complexity is why I like to allow for several sessions. I want to make sure we are going to finish the whole pizza. I don’t want to leave even a bit of crust. I offer two methods. The cheapest and quickest way is a two-hour smoking cessation workshop. There is a pre-session phone interview required before one can attend. This step provides about 20 minutes of private consultation that I need in order to better understand the client. I keep the enrollment low and make every effort to make the workshop valuable. Still, there are several people in the room and by nature, it has to be more general and generic than a private session. That being said, it still does the job for a fair number of people and is a good place to start, even if it turns out that more work is needed. The other method is through individual sessions. I suggest three sessions because that seems to provide the most support to my clients. We could do it all in one marathon session but I would charge the same price as three and there is real value in the time between sessions. It gives us time to find and address elements, (pizza toppings) of which we may have been unaware. A few clients actually take more sessions but usually they do so because we discover related issues or habits that the client also decided to work on. Smoking has stopped by the third session. When I hear of people saying that hypnosis for smoking cessation didn’t work for them, I know that one of three things happened. The client may have bought a smoking cessation hypnosis product without actually seeing a hypnotist. The hypnotist used an off-the-shelf technique that didn’t take into consideration the client’s entire individual smoking pizza including the toppings. Or the client, for some unknown reason, held back, resisted or consciously sabotaged the process by deciding to smoke again against everything we’ve established in hypnosis. In his book, “Mindbbody Prescription,” John E. Sarno, MD focusses most of his attention on back pain suggesting that much of the surgery performed to alleviate back pain is needless and inconsistent with the evidence of many people having similar conditions without any pain at all. His thesis is that the mind can create symptoms, like back pain, as a result of unresolved internalized conflict and emotion, mostly anger. I've had two back surgeries and frankly they helped me but I was interested in this book because of it's applications for just about everything else. When we hear the term psychosomatic, we think that the person whose illness is psychosomatic, is somehow mentally ill, an irrational hypochondriac. The symptoms or even full-on diseases are considered imaginary by many. That is not true. Just because a disease may be psychosomatic, doesn’t mean it isn’t real. What it means is that the mind and the body are relating and well, what could be more natural than that? Take this simple example. Stress weakens the immune system. A person burning the candle at both ends for too long becomes weak and gets a bad cold. The cold puts the person in bed providing two or three days of rest. The immune system strengthens, the cold runs its course. The root cause was in the stress but that didn’t make the cold any less real. It does however mean that if the stress isn’t remedied, something else may well follow that cold. Treating just the somatic part will probably prove insufficient in the long run. According to Sarno, the symptom will either present itself again or morph into something else. I suddenly think of all those kids who missed school with a stomachache because there was something happening in school they couldn’t control or resolve. Think of the “mental health” days some employees take because they are internalizing conflict at work. Think of how we represent emotional resignation in our culture. We bite the bullet. Swallow our pride. Eat crow. We face situations that make us, literally force us to internalize negative emotion. According to Sarno’s theory, there is a point at which the mind says, “enough is enough” and it creates something that stops the process. If clients come to me and we work on an issue or an area of their lives that relates to some physical problem, I always try to find out if they have consulted a doctor and what courses of treatment they’ve tried. I’m not a doctor and I can neither prescribe nor treat anything but it helps me to understand the history of my client’s experience. Some of my clients have exhausted their treatment alternatives and come to me because there is nothing left to try. Others employ hypnotherapy as a complementary practice to whatever their doctor advises. I can help them cope with their symptoms, manage their pain, and manage the limitations those conditions may place on their lives. But together in hypnosis, we might be able to do something even better. If there is any part of a condition that is rooted in the psyche, addressing merely the somatic will only do part of the job. Like I said, I’m unqualified to prescribe and treat mental or physical illness. But if clients, in hypnosis, discover a connection between a physical problem or an emotional manifestation (phobia, anxiety, panic, etc.) and an unresolved issue, I can help them work through the unresolved issue. In my experience, many doctors only offhandedly suggest complementary therapies if they mention them at all. I suppose it’s because such the effectiveness of such therapies lacks scientific evidence. Sarno, however, points out how tentative the evidence is for many medications and even some surgeries. And any honest scientist will admit that getting definitive proof comes with serious ethical conflicts, such as experimenting on humans. If ethics prohibits the scientific method, and a therapy demonstrates merely anecdotal evidence, should we exclude the therapy just because the evidence is not scientific—even if it is statistically significant? Should the difficulty in obtaining valid data mean that we don’t engage in alternative or complementary therapies until they are proven? Let’s bring it on home. Here’s a quiz. Choose the best answer. If I face an illness or condition that negatively impacts my life, should I be [willing, forced, or unwilling] to wait around for someone to fund a flawlessly designed and implemented, longitudinal study that tests the therapy? The system of medicine we have in the United States, suggest that the body is a machine and that a sick body is a malfunctioning or broken machine. Are we to believe that taking our bodies body to the doctor is like taking our cars to a mechanic? Trusting ENTIRELY in a system which holds a merely mechanistic view of life, is simply stupid. It’s an obvious and facile oversimplification of a complicated human story—the medical profession knows that. What holds them back from prescribing something that doesn’t come in a bottle or focus on the machine is a matter of speculation but my guess is that it may well be the lack of empirical evidence and well, we know where that gets us. Sorry, I can’t be nicer about this issue. Health and life are at stake. If you honestly think all you are a machine, that your body and your mind are merely a bunch of chemical reactions, then go to your doctor and hope for the best. You should then make sure your doctor is the best and most honest one available. I wish you well. You’ll just have to accept whatever happens as it comes. It’s your life. But, if you believe you are more than a mass of chemical reactions, and you are experiencing a threatening condition or illness, medical treatment can and should be part of a larger plan to treat your life, not merely your disease. Certainly go to your doctor. The knowledge doctors have is invaluable, important, essential. But don’t be afraid to ask about, look into and investigate alternative or complementary therapies. Ask your doctor about them. It's OK. Your doctor is being paid to help you. Consider following the "do no harm" rule. Do everything you can to improve your overall wellness as long as there are no legitimate contraindications. I’m not talking about investing in snake oil products willy-nilly out of spam emails but engaging in practices that you think may be of some benefit. There is a long list of possibilities. I’ll give you the most conventional ones. Practice mindfulness; meditate; pray; do yoga; get a massage; join a gym, try acupuncture or oriental medicine; see a counselor; talk to your pastor; see a chiropractor; visit a reiki master; use aroma, color or light therapy; and yes, meet with a hypnotherapist. Learn to be your own best friend. Learn to love yourself. Do more than focus your attention on a symptom or a disease. Treat the whole you. I admit that I was skeptical. Not about the people, Frances and Timothy seemed genuine enough. I was skeptical about hypnosis. Like many people, my exposure to hypnosis had been Bela Lugosi movies, “You’re getting sleepy, SLEEPY,” and entertainment shows of people doing silly things on stage. As I child, I once ordered a hypnotic disk from an ad in the back of Boy’s Life magazine. What I got for my quarter plus postage and handling was a sort of poker chip with a spiral printed on one side which promised hours of hypnotic fun with friends. It shouldn’t come as a surprise that I didn’t take hypnosis seriously. I considered it something of a whimsical lark, something to be silly about and have fun with. My clients would enjoy themselves and anything that promised a little harmless fun was worth having in the program. Timothy and Frances were both quite popular. Timothy taught the clients to go into a kind of self-induced relaxation mode. While in that mode, he instructed them to imagine a little Pacman character gobbling up HIV cells. On the surface, clients learned how to relax but more than that, it gave the clients something they could actually do for their health—whether it worked or not, the clients were engaged. Here’s the kicker. It worked. Timothy’s clients began to tell me that their viral loads dropped meaning the amount of active virus in their system was reduced. The clients attributed these results to their practice of self-hypnosis. I understood that that direct cause and effect were in doubt. There were no control groups, no double-blind studies and certainly tons of other variables but anecdotal evidence was impressive. Timothy went on to make quite a splash with Hypnosis in the HIV world. Since then, he has not stopped helping people. You can find him online. With Frances, it was a different story. Frances worked one-on-one with the clients exploring whatever aspects of their lives they wanted to explore. After their sessions with Frances, the clients were noticeably different. They went in stressed, worried, and fearful. They came out peaceful, rested, rejuvenated, even excited. They would come to me, thanking me for having Frances there. Virtually everyone who saw Frances, many of them multiple times, said they had been profoundly affected in a very positive way. Frances helped people heal issues from their past and that is where my story leads next. I spent a lot of time chatting with Frances while she waited between clients. At some point I told her of my being bullied as a child. The bullying had been at times very severe and had lasted for a very long time, grade school through high school. She offered to help me with hypnosis. Eventually, we found the time. Frances used a regression technique in our session and I found myself standing in a kind of semi-circle of kids who were bullying me. They were taunting me, calling me names, spitting at me, shooting spitballs, all sorts of childish things. Honestly, this event as it happened in hypnosis, never happened in real life. I wasn’t reliving an actual memory but my subconscious created a scene which accurately expressed how I felt as a kid. Memory is notoriously inaccurate. We think we remember facts but we really remember our perceptions of those events--particularly when those perceptions were influenced by strong emotion. The odd thing was that as the scene unfolded, I experienced it as a bullied child and as an adult watching it. It was kind of weird. The kid in me felt the taunting and the bullying but the adult in me understood the kids and the bullying in a different light. Frances lead me in a kind of exercise in which I addressed and forgave each and every one of those kids. Honestly, at the time, I wasn’t sure that I had even been “hypnotized” because I had been conscious the entire time. It felt like a guided daydream. When Frances brought me out of hypnosis, I felt great but I wasn’t completely buying the experience. I didn’t fully realize the benefit I had derived from that session for another 25 years. It was remembering these two hypnotherapists and the power of their work that prompted me to seek hypnosis training myself. Timothy with his simple but practical way of helping people with AIDS, gave them a way to actively participate in their own wellness and the health benefits, reported by them, were remarkable. And Frances worked her healing individually helping clients, and me, live better by putting the past into proper perspective, healing old wounds. Imagine having an emotional limp for years. You can still get around and perhaps the limp is hardly noticeable but then you realize that the pain that caused the limp is gone. That was what it was like for me. So now, I’m the one who gets to help people live better lives. In the course of promoting my services as a hypnosis practitioner, I’ve encountered a number of people, mostly Christians, who have expressed concern over the possible spiritual consequences of allowing themselves to be hypnotized. There are those who fear submitting their minds to a stranger. Some suspect that a hypnotic trance will open them up to demonic influence. And there is a large group of Christians who think that hypnosis is simply "unchristian." The first concern is at least partially valid but partially based on a misunderstanding. It is a false myth that hypnosis involves some sort of mind control--a natural assumption given most people’s exposure to hypnosis was done in front of an audience for entertainment purposes. After all, hypnotists get people to do rather silly things. But, you see, they are not doing silly things against their will. They volunteered. After experiencing hypnosis for the first time, people realize that they were virtually aware of everything the hypnotist said and did. There was no real room for any sort of mind-control. They might choose to let their conscious minds drift during the session, but they are certainly not unconscious. In fact, unless the hypnotist has used certain techniques to convince the client that s/he has been hypnotized, many would walk away from the session, not believing they were ever hypnotized. They feel better, more relaxed and rested but question the hypnosis itself. The fact remains, a client is not submitting to any form of mind-control. Being skeptical about the hypnotist, however is certainly a valid concern. I think everyone should be careful about choosing a hypnotist. For all intents and purposes, the hypnotist is a stranger. People should be careful to ask any questions they have before agreeing to the hypnotic process. You see, it's important to the success of the process that clients should feel comfortable with the hypnotist and in the room. There should be an established rapport between the client and the hypnotist. If the client is overly suspicious, uncomfortable or resists the process, the hypnosis will not be very effective. Here are a couple of helpful hints to increase your chances of finding a good hypnotist. A hypnotist does not need to touch the client and the hypnotist who uses touch techniques, (usually on the forehead or wrist) should ask for permission prior to hypnosis. Touch techniques can be quite effective but the hypnotist should make it clear where and how the client might or will be touched. If you are uncomfortable being touched, find another hypnotist. If the hypnotist makes outrageous claims like near 100% success rates or guaranteed results, then consumers should be wary. These are powerful marketing techniques but such claims are ethically debatable. Both success rates and guarantees can be misleading. A hypnotist may “guarantee” results or the client can come back for free. If the hypnotist then bases his or her success rate on the number of people who make a claim on the guarantee, it is likely that their actual success rate is far lower than they say. Just think about it. If it didn’t work the first time, why would someone go back for another try? A lot of people just cut their losses and go somewhere else. Finally, I have my doubts about any hypnotist that claims to solve a client's problem in a single visit. There are people who experience a kind of light-switch reaction to hypnosis and their problem is gone. It does happen. I wish it worked that way for everyone. But it is also possible that dramatic affects of the hypnosis process may wane over time or the old ways of the subconscious mind may resurface because the changes need to be reinforced and some issues are just not that simple. I'm just a little skeptical. That light-switch experience, if it happens, comes from the client, not the hypnotist or even hypnotism itself. In my practice, I do see people with dramatic results, but I also see people whose results are not dramatic but more gradual over time. How could I suggest success in a single visit when I don't know how you will react to hypnosis? Those who think that hypnosis will open them up to demonic influence are again, operating on a misunderstanding. Granted, to most people, hypnosis seems like a mysterious process. But hypnosis is not fundamentally spiritual. Hypnosis acknowledges the function of the subconscious mind. We all have subconscious minds and the subconscious mind is NOT the spirit nor the soul. Rather than being something spiritual, the subconscious is simply our autopilot and we all have one. If we didn’t have subconscious minds, we couldn’t function. We couldn’t even walk. Think about how hard it would be to think through every muscle movement for every step you take. The subconscious mind manages our automatic reactions and behaviors. Whether it is putting the car in park before turning off the ignition or reaching for another piece of chocolate or lighting a second cigarette when one is already lit and burning in the ash-tray, the subconscious mind is behind it all. The process of hypnosis simply allows us to work on a sub-conscious level. For most things in life to affect our subconscious, we have to wait for them to seep into our subconscious mind through a lot of consistent repetition. You may have heard it takes three weeks to break an old habit and replace it with a new one. When Christians want to make positive changes, they commonly rely on some pretty standard techniques. Prayer, Bible Study, Church and Sunday School attendance, daily devotionals, even Christian radio. All of these work on the conscious level and after a while, something gradually sinks into the subconscious but what if we could speed up the process? That being said, my office should be full of Christians. There is nothing unchristian about hypnosis. Hypnosis is simply a tool, an amazing gift that can help us grow and more naturally lead the kind of life Christians want to lead. God gave us a conscious mind, with which we make free-will choices and he gave us a powerful subconscious mind with which we live out our choices once they become part of us. But, let’s admit it, sometimes, the conscious choice doesn’t show up so readily in our lives. We know that even the apostle Paul struggled with the conflict between his conscious choice and his subconscious inclinations. (Romans 7:15-20). When he says he does the things he doesn’t want to do or he doesn’t do the things he wants to do, he is showing us the limited power of the conscious mind to effect desired change. We can choose but the actual changing of our behavior or reactions can be slow and arduous. Later in Romans, Paul tells us how those outward changes are actually brought about. He teaches us that it is through the renewing of the mind that our lives are transformed. (Romans 12:2) It is obvious that Paul is not talking about renewing the conscious mind because he is clearly saying that what he wants to do with his conscious mind, he doesn’t actually do. Paul is highlighting the conflict between the conscious and the subconscious mind though he didn’t have the vocabulary to make that distinction. It is the subconscious mind that needs the renewing. And the way most Christians go about doing that is long, frustrating, arduous and often requires a lot of repetition and repentance. We remain like Paul, not living up to the expectations of our conscious minds. I honestly believe that if Paul had understood hypnosis, he would have tried it. Perhaps you should, too. Lastly, I have a question for you. Jesus often told people they the miracle they experienced had come because of their faith. Was Jesus lying when he said that? Was the power secretly in him and not in them? If so, he lied. If he told the truth, the power behind their miracle had been in them, not him. Even when the woman with the blood flow touched the hem of Jesus’ garment, he stopped and sought her out because her faith had connected with his own and he felt the power go out from him. (Mark 5:25-34) He said it was her faith, not his. He knew that faith touched faith but he didn’t heal her, her inner conviction, her faith, touched him and she got what she needed. If she hadn’t already had the inner conviction, she wouldn’t have bothered reaching out to touch him. All hypnosis does is facilitate changes in that inner-conviction and there is no reason why Christians should not utilize it. Choose the right hypnotist, certainly. But give it a shot. You may learn to love yourself more—the key to loving your neighbor and the secret to loving God. You may find the kind of freedom you’ve only heard about, dreamed about, asked God for but frankly never quite realized in your life. You will almost certainly cope better with stress, the trials of daily life and the disappointments that go with it. Most of all, you just may see how precious and cherished you are in the eyes of God and how he’d do it all again, just to be close to you.